Is the solar energy contractor nearby? What are their ratings and reviews? Is the solar contractor certified? What is their experience record and how long have they been in business? Are they full-service or subcontracting? 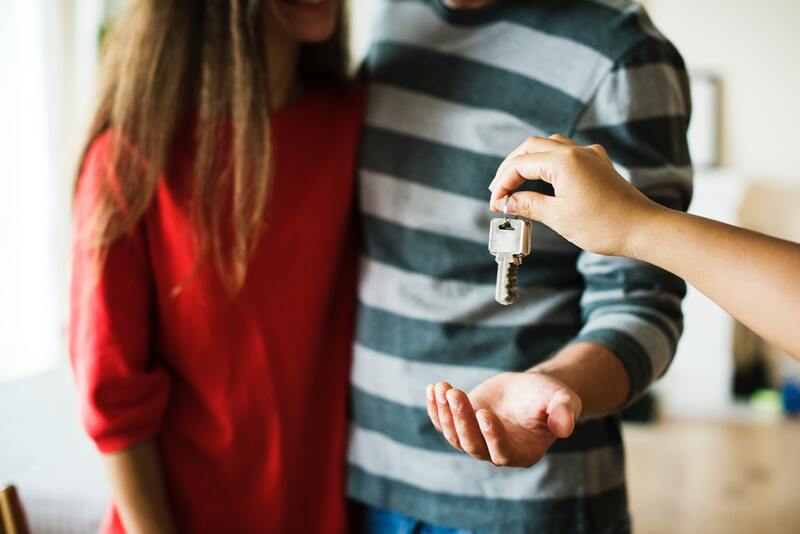 What are the different options available for your home? What warranties are available for which products? Does the contractor have experience handling utility agreements? Will the solar energy contractor maintain the equipment? What permits and inspections will I need? Who files all the paperwork? Solar energy is an abundant source of renewable energy. By switching to solar energy in your home, you can save on monthly utility bills, and reduce your carbon footprint which helps the environment. Solar-powered homes are eligible for tax incentives, and in many cases can earn money from surplus power fed back into the power grid. Switching to solar energy is a big decision and a long-term investment for your home. It’s important to hire a contractor who will make sure your needs are met and provides a high-quality installation. The task of finding a solar energy installer may seem a bit daunting – but don’t worry! 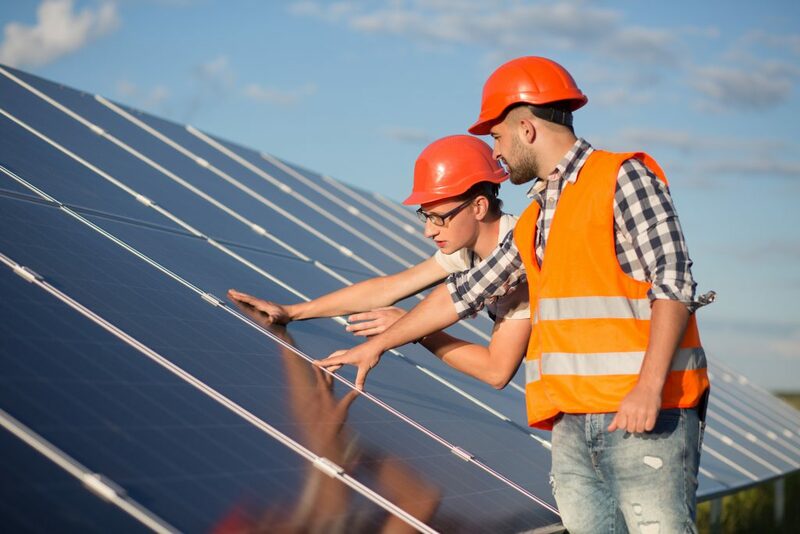 The following guide will take you step-by-step towards finding the right contractor who will make your transition to solar energy a seamless, positive experience. The first step of this process is to find a good solar installer and ask for a quote and consultation. Check to ensure that the company operates nearby. You want a contractor who is familiar with your local laws, city design guidelines, and permit regulations. Once you have some local solar contractors in mind, take a look at their online ratings and reviews. It might help to research nationally recognized rating organizations, such as the Better Business Bureau (BBB). 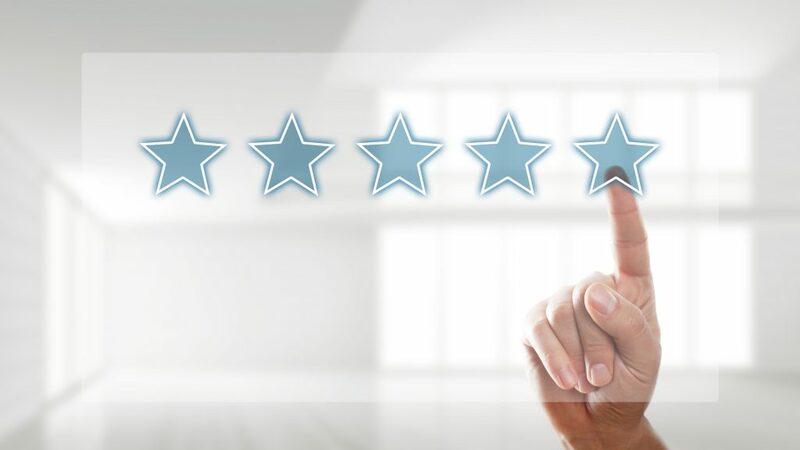 Useful ratings can be found on websites like Google. Take a few minutes to read reviews on these solar installers. This will give you valuable insight into problems faced by other homeowners, and how the company responded. Depending on your local laws, there may be different licenses required by a contractor in order to install a solar energy system. These can include an electrical contractor license to connect the system as well as a general contracting license for the panel installation and frame attachment to the roof. You can contact your city or county for more information, including recommendations of top solar companies in your area. The need for multiple licenses can cause issues when dealing with smaller or one-person solar contractors, as they might have to subcontract these license requirements to third-parties to stay compliant. Before you give your details to contractors, verify that they are qualified. Look into the national certifications of each solar energy system contractor. This allows you to easily compare knowledge and experience between installers. 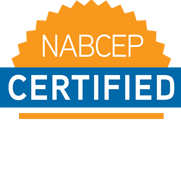 The North American Board of Certified Energy Practitioners (NABCEP) is a national organization that is the standard for the solar industry. This organization certifies individuals such as solar electric installers as well as photovoltaic (PV) system designers and maintenance specialists. While it may not be required, this shows that a contractor is serious about their business and has taken the time and training necessary to achieve certification. You may even be able to achieve a better loan rate using certified solar installers. Now that you have chosen a few good solar installation companies, it is time to see what they can do. Many solar installers offer free quotes and consultations. This will allow you to gather information to compare offers and find the right solution for your home. There are also many online tools to help homeowners estimate the costs of implementing solar solutions based on their location, available space, and desired energy efficiency. What is the Company’s Experience and How Long Have They Been in Business? One key factor in determining a reliable installation contractor is the length of time they have been in business. Compare this to their track record and reviews. Ask to see previous work they’ve done in your area. This will give you a good idea of what you can expect from each contractor. Does the Solar Energy Contractor Perform all the Work, or Do They Hire Subcontractors? Some solar companies might sell you a contract for a solar electric system then turn around and subcontract the installation to a third-party. This would leave you with multiple contractors from different companies handling various parts of the installation process. It makes it harder to verify the quality of the materials that will be used in each part of your system. Each added contractor spreads liability and can make it more difficult to pinpoint who is responsible for any issues that might arise. You will want to verify the individual insurance of each contractor involved in your project. It’s much simpler and safer to hire a full-service solar installation company like ION Solar, which performs every step of your solar energy installation from start to finish, including long-term maintenance coverage. Whether you choose a full-service company or individual contractors, find out if there is a single point of contact who will manage the installation. 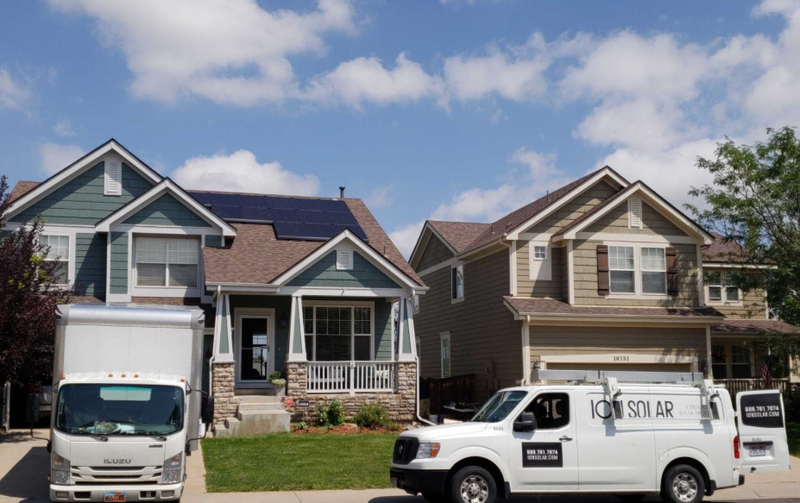 Some companies, like ION Solar, offer dedicated project managers who oversee the entire operation and can provide the homeowner with up-to-date information on every step of the process. In contrast, dealing with multiple subcontractors can complicate communication and create confusion about who you need to contact during each phase of the installation. There are a range of products available for installing a solar energy system. Higher-quality panels and inverters should last longer and they usually have longer warranties on them as well. Reach out to the contractors you’ve contacted and ask them what options they offer. What is the maximum generating capacity of the system? Compare cost per watts and other similar metrics to achieve the balance of costs and benefits that you desire. Solar panel efficiency decreases over time. Quality equipment is usually covered by warranties which detail expected decreases at certain time intervals. The industry standard life expectancy for solar panels is roughly 20 years, and 10 years for inverters. Some warranties also protect against certain damages to solar panels such as weather damage. Consider the long-term benefits associated with using quality equipment for your home. a. General liability for protection in case of bodily harm and property damage. b. Professional liability covers design and paperwork liability issues relating to tax incentives and rebates promised. c. Workers’ compensation allows for medical and wage protection in case the contractor’s employees are injured on the job. d. An equipment floater covers materials in case of theft or damage such as vandalism, fire, wind and more. e. Optional coverage such as mold is worth considering as water damage is a common complaint after sub-par solar system installations. However, secondary effects of water damage may not be covered by default. It may be worth checking to see what the contractor insurance will cover. In addition to the solar installer’s insurance, your homeowner’s insurance usually offers coverage as well. Call or meet with a representative from your insurance company to talk about a solar electric system installation for your home. Find out what your plan covers in regards to solar panels, mountings, and inverters. Also see what your insurance covers as far as possible roof damage. It is unfortunate that some homeowners have damage done to their roofs as a result of hiring inexperienced solar contractors. You can avoid this issue by investing in a company with a proven track record of solar installation experience such as ION Solar. Depending on whether you own or lease the system installation, your insurance needs may vary. If you decide to lease, the company you lease the solar system from may cover the insurance along with maintenance. However, you will still want to verify your homeowner insurance coverage for your roof and space where the system will be installed. In some cases you may need to apply for additional coverage options or riders to ensure you are fully protected. Before you make a final decision, establish what the final cost will be with the solar energy company. According to EnergySage, the average homeowner pays roughly $11,000 for a five-kilowatt system after incentives and rebates. To date, more than 1.5 million homes have installed solar systems in the United States. Ask the solar installers if they have experience working with local incentives and rebates, and if they can help you understand and obtain these benefits. 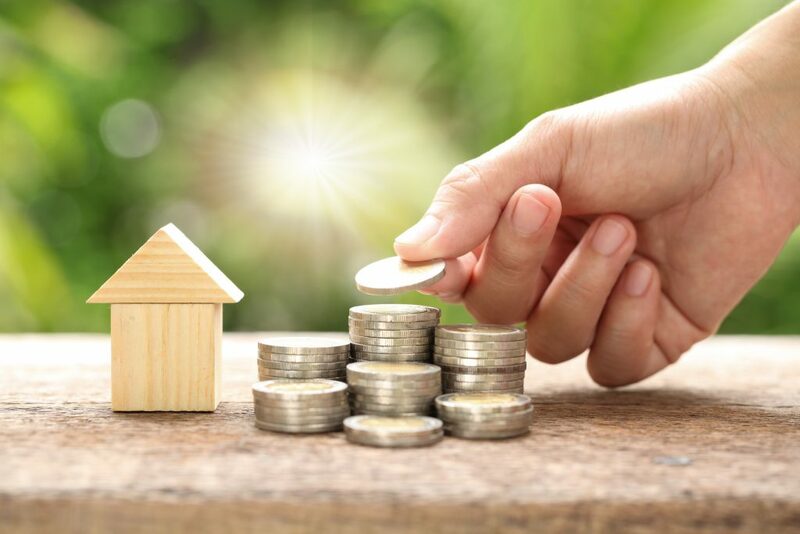 Depending on whether you buy or lease the solar electric system, you may also qualify for tax credits, like the Investment Tax Credit (ITC), which can offer up to 30% of installation costs to be deducted from your annual taxes. There are many financing options available for homeowners to buy or lease solar systems. You can purchase the system from an installer immediately, or secure a solar energy loan from your bank. These two methods of ownership offer the benefit of the Investment Tax Credit (ITC). However, leasing or agreeing to a Power Purchase Agreement (PPA) surrenders ownership to a third party and negates the ITC deduction. The benefits of leasing or using a PPA are that a third party installs and maintains the solar electric system at little or no cost to you besides the rate of electricity they sell you from the system. If the thought of buying or leasing a solar energy system for your own home is not what you want, but you still want to benefit from solar energy, considering investing in a community-sourced solar energy system. This allows multiple homeowners to combine their purchasing power. It’s also a viable option for residents living in apartments. Check with your utility company or local solar installers for more information on alternative financing options. Unless you are planning on living off-grid, you may be interested in the benefits of connecting to the local power grid. Many utility companies offer rewards for excess renewable energy that is useable by the grid. Well-established solar installers are more likely to have good relationships with the local utility companies. Experienced solar contractors also more likely to have experience with local requirements and processes that relate to net metering and feed-in-tariffs. Net metering awards credit for each one kWh of solar energy exported to the grid. At the end of a period, the export credit is applied to the kWh usage, and the net difference is charged at the retail rate to the consumer. In contrast, a feed-in-tariff calculates solar energy exported to the grid and energy used from the grid at different rates, which is tallied at the end of each period. Some solar installation companies offer operation and maintenance of solar panels and related systems over certain time periods at affordable rates. It’s important to keep your solar energy system clean and maintained in order to maximize efficiency and extend the life of your system. Find out how long the project should take from start to finish, and schedule deadlines for key milestones to be completed. It may be worthwhile to determine a timeline of activities, including dates of inspections and what needs to be finished by those dates. This is the plan that will be finalized in the contract. Ensure that it matches your specifications and that any remaining questions you have are answered. If you have a dedicated project manager, they can help provide you with anything else you need to compare your bids and make a decision. The laws and regulations regarding solar installations will vary from city to city. Find out what inspections and permits will be required. They will need to be scheduled, so plan accordingly. Determine what recourse is available if the inspections are missed or do not pass. Depending on how you intend to integrate your system with the grid, you may need an interconnection permit from the local utility company. Homeowner Associations (HOA) sometimes prohibit solar electric systems in neighborhoods. Verify the regulations with your local HOA, and obtain the necessary permission prior to installing a costly system. 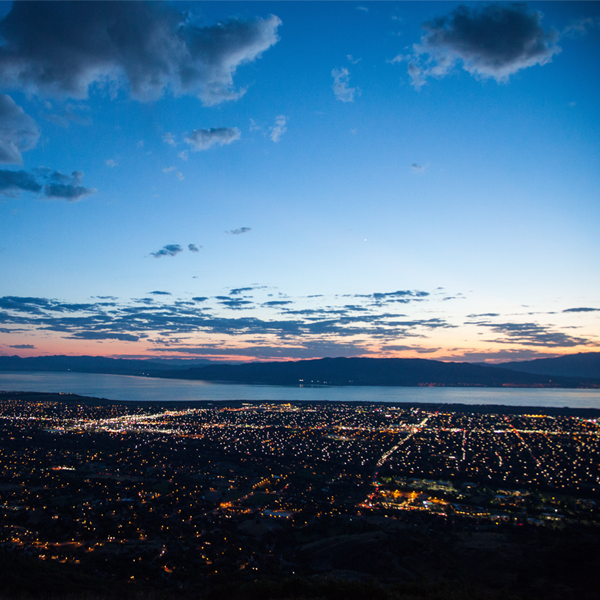 Be aware that in some cases, state legislature may override HOA regulations. Once all the key details of the project have been decided and planned, investigate which paperwork and forms needs to be filed, and who is responsible for submitting them. When using multiple contractors for various parts of the installation, mistakes are more likely to happen. Permits and inspections can easily be overlooked which can cause complications later. New and inexperienced contractors may also be unaware of what needs to be filed by certain deadlines. The process is far easier with an experienced, full-service solar energy installer like ION Solar, which handles all of the permits and inspections for you. Some financial options provided by solar contractors can offer zero-down or no initial out-of-pocket expenses to you. Review the options and payback schedule with your installer to determine when the first payment is due. This is a large, long-term investment for your home. Please consider your options carefully and review the contract closely before you sign an agreement. It is far better to catch and clarify any issues before the installation has started or finished. 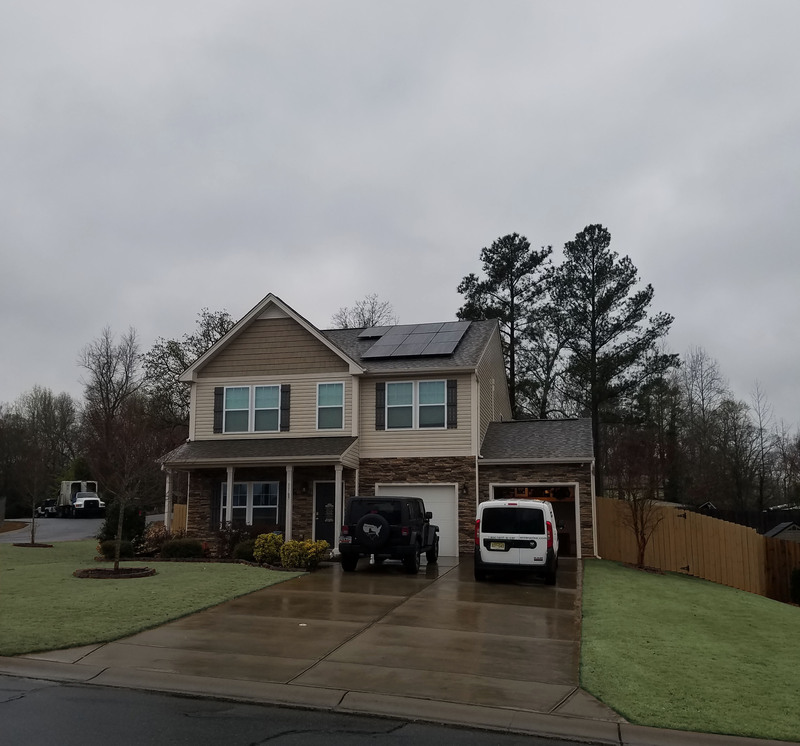 ION Solarhas has been in business for 11 years and has a proven track record of experience with 48,789,911 watts installed and $246,077,316 saved on consumer’s electric bills. 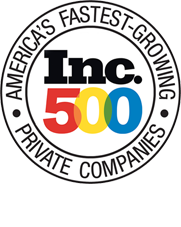 We are the 4th largest nationwide residential solar system installer of premium panels and electrical equipment. In addition, ION Solar is a full-service, NABCEP certified PV installation professional with excellent BBB ratings and online reviews. In order to provide you with the highest quality service, ION Solar assigns a dedicated project manager to be your main point of contact during installation. Your project manager will answer your questions and help you understand what incentives and tax credits you are eligible to receive. Solar energy offers clean, renewable energy with many incentives and tax benefits available. Switching to solar can help reduce your impact on the environment as well as lower your utility bill. Depending on agreements with your utility company, you may even get paid for providing electricity back into the grid. The decision to harness the sun’s power with solar energy panels involves a large investment over a long period of time. As such, it is important to review solar energy installers carefully to find the right one for the job. Investing the time to select the right solar energy contractor will save time and heartache later. Choosing a full-service solar energy installation company like ION Solar provides you with the peace of mind that comes from working with a trusted leader in the solar industry. ION Solar assigns a dedicated project manager to be your point of contact during each stage of the installation process. We also help you determine the incentives and credits you are eligible to claim. Reach out today and receive a specialized quote for adding solar panels to your home!